Sir Charles Nicholson's design in the 1900s called for a radical realignment of the church axis by 90 degrees. However, funds and World Wars forced the designs to change. Those changes were implemented throughout the 20th century. The bulk of the changes have affected the northern part of the cathedral, which was extensively expanded. The main entrance of the church is at the expanded west end, added in 1966 when the church was rededicated. The lantern tower was an earlier addition to improve light but its glass was replaced by an abstract design designed by Amber Hiscott in 1998–99. The Place for All People Project: a new accessible and welcoming main entrance, with gathering and display spaces; new lighting; new signage and interpretation resources; training for staff and volunteers; learning activities for children and adults. Part of the works included digging up the floor of the nave and instating a new heating system. However, it came out during the works that the 1960s slabs (300mm) were at some parts placed on the 1930s floor. However, the tests carried out before the actual works begun hit some of the rare areas where there was no earlier slab. This meant the removal of the floor took 3 weeks longer than expected. It became apparent that roof- supporting columns in the nave of the cathedral had very little foundation below them. With loose soil and stone below the column and machinery working in the area, there was a risk of roof collapse. Machinery movements were stopped for a week as a precautionary measure and eventually the floor received a layer of concrete. These two surprises meant that the all the floating time for the schedule of works had been used up and left the project on a very tight schedule. 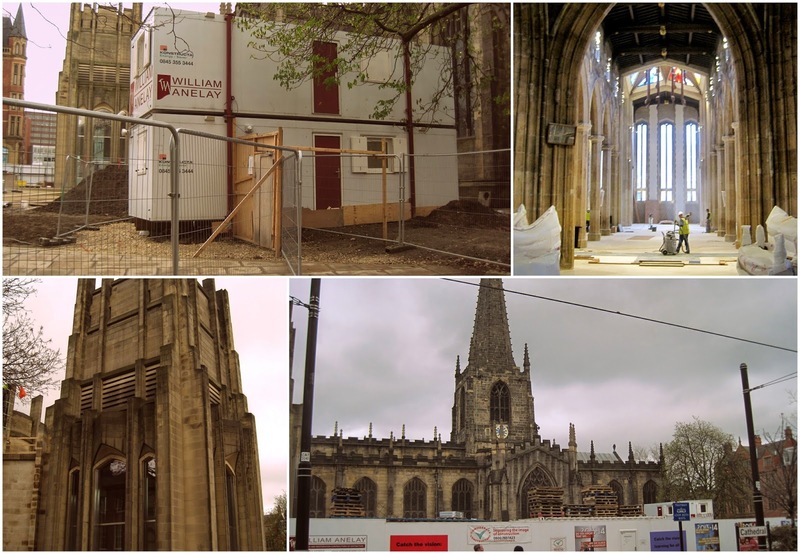 Despite these surprises, the refurbishment project was completed on time much to the happiness of the local community who had now the opportunity to carry out Easter events in a freshly refurbished Cathedral.